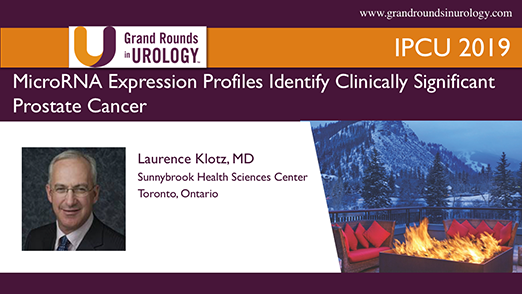 Laurence Klotz, MD, discusses a liquid biopsy urine test that uses microRNA expression profiles to identify clinically significant prostate cancer in patients. He emphasizes the ease and efficiency of the technology, in addition to its high degree of sensitivity and specificity. 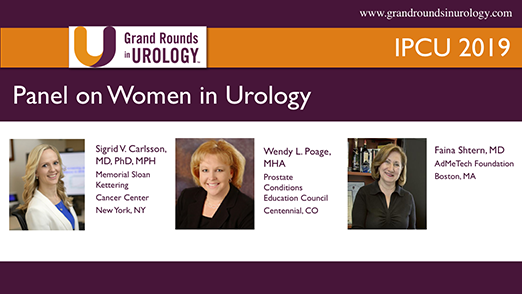 E. David Crawford, MD, discusses the wide range of clinical possibilities related to prostate cancer imaging with a novel 29 MHz micro-ultrasound technology. He specifically deliberates the possibility of micro-ultrasound to improve screening pathways and focal therapy protocols. Laurence Klotz, MD, discusses the limitations of multiparametric MRI (mpMRI) targeted prostate biopsy, especially in the active surveillance setting, and how a novel 29 MHz high resolution micro-ultrasound technology could be an improved alternative. Additionally, he describes his experience with this technology at his institution. Immunotherapy for PCa: Where Do We Go From Here? Daniel P. Petrylak, MD, discusses patient selection for currently-approved immunotherapies for prostate cancer, especially in patients with microsatellite instability. He also emphasizes the importance of utilizing immunotherapy early in the disease course. Neal D. Shore, MD, reviews a novel 29 MHz high-resolution micro-ultrasound system with improved visualization for prostate biopsy compared to the current standard. He also provides a brief overview of current clinical evidence for this technology. Neal D. Shore, MD, reviews the recently-published guidelines focused on next generation imaging for early detection of disease progression in M0 prostate cancer in the Prostate Cancer Radiographic Assessments for Detection of Advanced Recurrence III (RADAR III). He also reviews the goals and conclusions from RADAR I and II.